Great news! We finally support multiple Magento attributesets with TigerMin. Let me explain (or jump directly to how it works); Let`s say I would be a seller of clothes. I`d sell my t-shirts with certain information, like Size, Long-sleeved or not, etc. But, my trousers I would sell with different information. For example, I would store for each trouser the material it is made of, but the information about sleeve length won`t matter for the trouser. For this kind of shops Magento introduced multiple attributesets. With multiple attributesets you can define a set of attributes and give it a name. For each product you choose what attributeset to use, and so you can store different information per product. Since TigerMin 1.4.3 it is possible to use multiple attributesets in TigerMin. You can easily create multiple attribute sets, and per attributeset you can (optionally) connect it to an Magento attribute set. 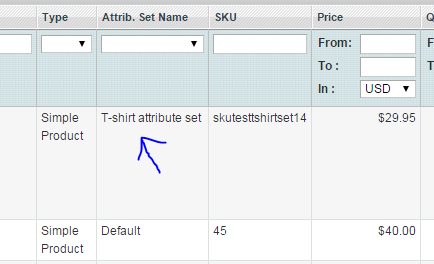 In this case, Magento will nicely recognize that you are using a different attributeset for the product. From the dropdown you can now choose your attributeset and configure all the attributes within this attribute set. With the red cross icon you can remove the selected attribute set, and with the ‘add new’ link you can create a new attribute set. Let`s create a new attributeset; Click the link ‘add new’ > give your attributeset a name > click save. The page will reload and your new created attribute set is now selected with a predefined set of attributes which are nessecary to have your product show up on your webshops frontend. You can now modify the attribute set, add your own attributes and configure settings per attribute. Click insert, you have now added the attribute / field which can connect your products to a Magento attributeset. Save the form and you are all set! Once you have succesfully created your attributeset, you can easily add products with this attribute set, or find / edit products with this attribute set. This works pretty self-explanatory. 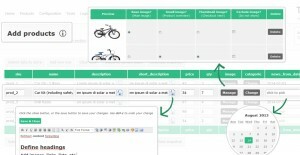 For example, go to Product management > Add products to enter the form where you will create your products. Above the form you will now find a dropdown field where you can choose your attributeset. The one you just created will be in this list, select that attributeset and the form will reload based on your new attributeset configuration. I have added an extra attributeset (T-shirt atttribute set) to our Magento demo environment, so make sure to check it out! New release TigerMin catalog manager! TigerMin – Fast Magento catalog management TigerMin: the one and only solution to optimize and automate your catalog management proces and save hours every week! 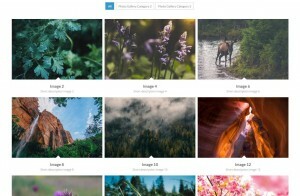 Unlimited Portfolios, sliders and more Fast, completely customizable and responsive Magento extension for creating fancy portfolios, galleries, sliders, blogs, FAQ’s, tabs and more. We are working with TigerMin for many years now and we are very satisfied with this extension, because it makes product management in your Magento store way faster. Emvee Solutions is a webdevelopment company from the Netherlands. We are a group of enthousiastic developers, always looking for new and innovative products (plugins & extensions). We are specialized in Magento & Wordpress development. Please contact us if you have any problem or question about one of our products. Find out how to contact us on our support page. Emvee Solutions © 2019. All Rights Reserved.